Residential Lettings and Management - what we will do for you as a Landlord or a Tenant. Our promotion of properties ‘To Let’ is unrivalled and covers the whole of our network, creating unique exposure. We are the agent of choice for numerous companies and organisations, relocation agents, football and rugby clubs who rely on us to find homes for clients and employees. And our service has been recognised at The Times and Sunday Times Estate Agency of the Year Awards. At any one time we have hundreds of qualified tenants who are independently fully referenced and credit checked waiting for quality property. This means that we are able to let properties fast. Ours is very much a people business and so our staff are carefully selected and, once part of the Gascoigne Halman team, we ensure that we invest in their futures with ongoing training and support. The staff you deal with in branch will be local and therefore experts in the knowledge you need. Most importantly, they will be friendly and approachable. At a time where applicants are becoming cautious of difficult landlords, the reputation of the agent is becoming more and more important. Our brand has a strong reputation and is well known, giving applicants the assurance that the property is being marketed with a professional and market-leading agent. Whether you are a first time landlord, are letting out your home for a fixed time or are an experienced investor landlord, we know your aims will be different. It is our job to understand each of our clients as an individual. By doing this we will find you the right tenant - not just any tenant. When you choose our fully managed package you will start your relationship with Gascoigne Halman’s Property Management Department on the day your tenant moves in. On the day the let commences, we will contact both you and the tenant to introduce you to the management team and give you your contact for the let. We understand the importance of communication throughout the let and ensure we start correctly from day one. Standing orders are set up three days prior to the rent due date and we process rents daily which ensures that you as our client are in receipt of the rent as quickly as possible each month. 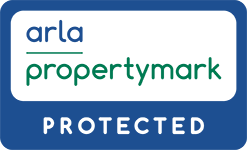 Periodic property visits These give us the opportunity to provide you with an overview of how your property is being looked after, and allows us to feedback to you for peace of mind. All managed clients benefit from our network of local contractors who offer a 24 hour emergency service. We will manage the repair process from start to finish and offer experienced advice on any repair works that arise. At the relevant point of the tenancy we will contact you and discuss the tenancy to date which will then enable us to guide you with serving notices, agreeing tenancy extensions and implementing rent increases. We ensure all legal documentation is produced to the highest level to protect our landlords. We provide tenancy agreements, inventories, deposit registration, income and expenditure breakdowns and check out reports. 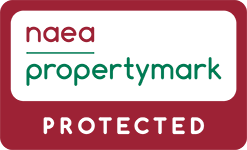 Letting your property must be treated as a business decision and as such we will discuss the potential risks and how to protect yourself via insurance products including Landlords Buildings and Contents Insurance and also our Rent Guarantee policy. A full list of our fees can be found via these links. Landlord Fees & Tenant's Fees.